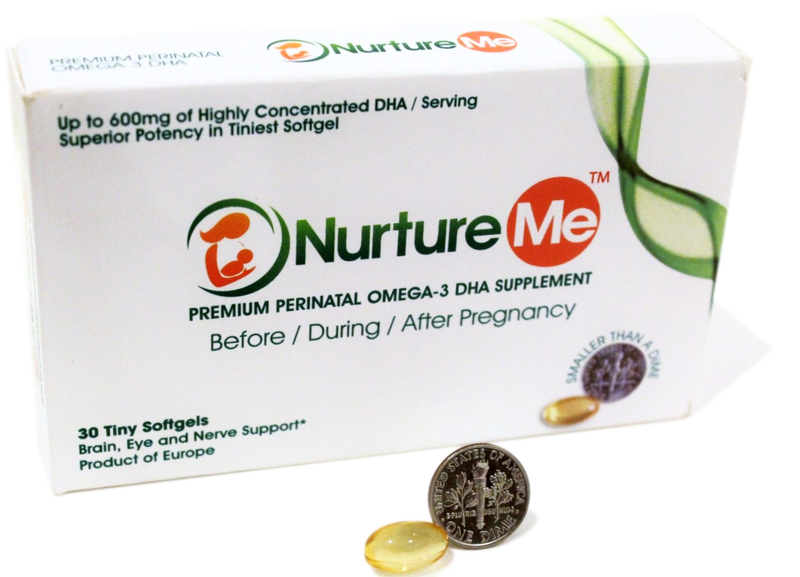 'Smaller than a Dime,' Nurture Me™ is a superior potency Omega3 DHA softgel, a vital perinatal nutrient for all women between 18 to 55 years. 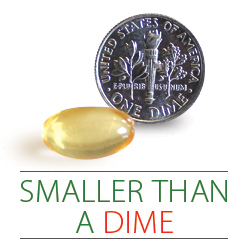 “Smaller than a Dime,” Nurture Me™ by Anpas Global is a superior potency Omega3 DHA softgel, a vital perinatal nutrient for all women between 18 to 55 years. Packaged in blister strips, it is easy to carry and protects the product’s high quality and freshness. Nurture Me™ Omega3 DHA, can be purchased from the company’s website (http://www.premiumomega.com) and through Amazon. It contains the highest concentration of DHA from fish oil, a nutrient shown to enhance the nerves, brain and eyes of infants while supporting a woman’s healthy blood pressure, hair, skin, nails and mood. Omega3 is scientifically researched to benefit women and their growing babies in over 2 dozen published studies. Each tiny Nurture Me™ softgel delivers 300 mg of Omega3 DHA, among the highest compared to other prenatal Omega3 products. The March of Dimes® recommends that pregnant women consume at least 200 mg of DHA every day. Since most women do not consume that amount of DHA through diet alone, a good quality Omega3 DHA supplement helps ensure their daily DHA intake during pregnancy and while breastfeeding. The President of the company, a mother herself, Sapna Misra, shared that the inspiration for this product stemmed from years of promoting high quality Omega3 oils to brand name supplement companies only to be turned down in favor of low quality, low priced fish oils. Her association with the Global Organization of EPA and DHA (GOED) and active participation in their Scientific Committee revealed that despite the existence of significant scientific evidence more than 75% of the pregnant women in the United States did not consume and/or were deficient in this essential fatty acid. Her surveys of mothers revealed that most women were unaware of the scientific benefits of Omega3 DHA and the few that knew were turned off by the large pill size and fishy burps. A high quality product starts with a high quality raw material and Nurture Me™ uses the highest strength DHA fish oil available in the market. The fish oil used in this product has been gently extracted at low temperatures using a patented Super Critical CO2 process which selectively removes any harmful toxins while retaining the purity and freshness of the oil. The DHA oil has been approved by a team of Doctors and cancer research specialists from the Pennsylvania State University Hershey’s Medical Center and the product has been tested free of any harmful toxins by Pace Analytical, an independent research laboratory. Nurture Me It's truly tiny!